Kodi, the hugely popular media player, is now available to download for the Xbox One. This is great news for Xbox One users, as the Kodi software is an incredibly flexible and versatile media player, mainly thanks to its large range of third party add-ons that can turn it into a DVR, allow it to stream from various sources and broadcast live TV. The best part of this news, which was published on the Kodi website, is that Kodi can be easily downloaded onto your Xbox One from the Microsoft Store, making the process as easy as possible. However, as the Kodi team states on the website, because it is a UWP (Universal Windows Platform) app, which is tightly controlled by Microsoft, it does mean some features are limited, such as network support, while access to the Xbox One's Blu-ray drive is not supported. The Kodi app for the Xbox One is also still in its early stages, so you may encounter a few rough edges. Kodi’s arrival on the Xbox One is quite symbolic, as the Kodi project began life as the Xbox Media Player for the original Xbox console (the software was later known as the Xbox Media Center, then XBMC). 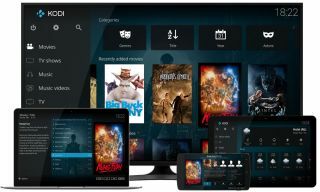 XBMC evolved beyond the Xbox and was soon available for Linux, Windows, OSX, Android and many other devices, and in 2014 it was renamed Kodi. Microsoft’s desire to include UWP apps on the Xbox One, as well as Windows 10 devices, has given the Kodi team the ability to bring its software back to the platform it all started from, and makes the Xbox One an even more powerful media player.